Matteo Martelli read Classics at the University of Bologna, where he received his PhD in Greek Philology (2007); in 2012 he obtained a second doctorate in History of Science at the University of Pisa. He held post-doctoral positions in Philadelphia (2009-2010; Edelstein Fellowship, CHF) and Berlin (2010-2012; AvHu-Fellowship, HU), where he was then appointed research associate (2012-2016) in a project on Byzantine and Talmudic medicine (SFB 980; dir. Philip van der Ejik; Markham J. Geller). In 2016-2017 he was research associate at the Berlin-brandeburgische Akademie der Wissenschaten (Project on Galen). He is the principal investigator of AlchemEast, and his current research focuses on the alchemical work of Zosimus of Panopolis and its reception in the Syriac tradition (critical edition of the Syriac books ascribed to Zosimus). With a solid background in papyrology and classical philology (BA 2009; MA 2010, University of Valladolid), Miriam Blanco was awarded a predoctoral fellowship (2010-2014) at the University of Valladolid and a predoctoral contract at the Pompeu Fabra University (2014-2016) in Barcelona. She received her PhD in Classical Philology (2017) at the University of Valladolid with a dissertation on Greek magical papyri. Her current project in AlchemEast focuses on the two (al)chemical papyri usually referred to as the Leiden and Stockholm papyri (3rd-4th century AD) and their relationships with the so-called Theban library. After being awarded an academic scholarship (1999-2003) to read History and Philosophy at the Green Mountain College, Poultney (Vermont, USA), Bojidar Dimitrov finished his master in Byzantine and Oriental studies at the University of Münster (2004-2012). He conducted his doctoral studies in Semitics at the University of Marburg, with a research fellowship at the Bavarian Academy of Sciences and Humanities in Munich (2013-2017; Research Project: Ptolemaeus Arabus et Latinus). Within AlchemEast he is currently working on a critical edition, translation and commentary of Jābir ibn Ḥayyān’s Rectifications to Plato (K. muṣaḥḥaḥāt Aflāṭūn). After graduating at the University ‘La Sapienza’, Daniele Morrone is currently working on his PhD project “Medical and alchemical analogies in the Middle-Platonic scientific discourse. A new method for the analysis of argumentative systems”. Ancient philosophers and scientists made frequent use of analogical structures in their texts (similes, metaphors, exempla): such analogies often had a stylistic or didactic purpose, but in some cases they also played a role in rhetorical persuasion or in the sincere justification of philosophical and scientific theses. For an easier distinction and interpretation of the contextual functions of analogies in argumentative texts, I propose an XMLframework for the digital markup of ancient texts, useful for mapping argumentative dependencies between theses and placing analogical structures in their peculiar micro-and macro-contexts. In particular, I am building a database of metaphors and analogies in Middle-Platonic texts with a focus on medical and alchemical explicanda: my research will thus be able to give some insight into the historical interrelations between medicine and alchemy and all the other philosophical-scientific fields that occurred in Middle-Platonic thought and writing practice. After graduating at the University ‘La Sapienza’, Giorgia Pausillo is currently working on her PhD project on Byzantine alchemical manuscripts kept in Italian libraries. According to the second volume of CMAG (Catalogue des manuscrits alchimiques grecs; 1927) these manuscripts are located in six different cities: Venice, Milan, Bologna, Florence, Rome and Naples. A preliminary survey of this volume shows that it lacks of detailed information on individual items, especially in regard to codicological and paleographical data. Starting from this premise, my project aims to explore and carefully map Byzantine alchemy through the production of a new, comprehensive and updated catalogue. Moreover, the research will focus on the manuscripts copied during the Paleologan Age, by investigating the historical and cultural context which fostered the circulation of alchemical texts in that period. With a strong background in Arabo-Islamic studies and Arabic philology (BA 2006; BA 2008), Lucia Raggetti obtained her PhD (2012; Doctor Europaeus) in Near Eastern Studies at the University of Naples with a dissertation on ‛Īsā ibn ‛Ālī’s Book on the Useful Properties of Animal Parts (in press with De Gruyter). From 2012 to 2017 she was research assistant in history of ancient knowledge (Wissensgeschichte) at the Free University in Berlin (prof. Markham J. Geller). Her current project in AlchemEast focuses on the reception of Greek and Byzantine alchemy in Arabic, with special attention to the works attributed to Democritus, Aristotle, Maria the Jewess, Zosimus, and Alexander the Great. After various fellowships in European and American Universities (University of Strasbourg, Trinity College in Dublin, University of California), Lucia Maini obtained her PhD in Chemistry at the University of Bologna (dissertation: ‘Design and Synthesis of Molecular Crystals’; 2001). Here, she was research assistant at the Faculty of Sciences (2000-2014), and in 2014 she was appointed associate professor at the Department of Chemistry. Since 2009 she is actively involved in the organization of the international workshop “Crystal forms @ Bologna” and in 2012 she was awarded the Nardelli Prize for her research in crystallography. 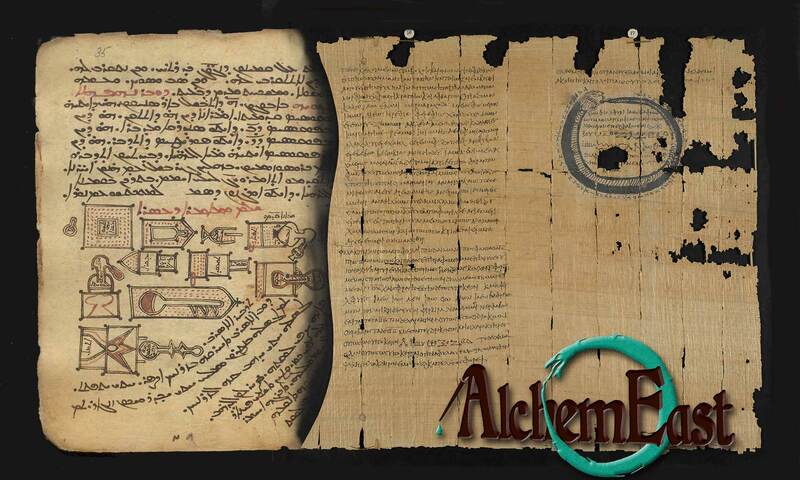 Her main project in AlchemEast deals with historically informed replications of ancient alchemical recipes. Massimo Gandolfi studied Pharmacy at the University of Bologna, where he graduated in 1995. He collaborates with different didactic programs in chemistry addressed to both students and professors in Italian high schools, and he is currently the senior technical manager in charge of the inorganic chemistry laboratory at the ‘G. Ciamiciam’ Department in Bologna (for both teaching and research activities). 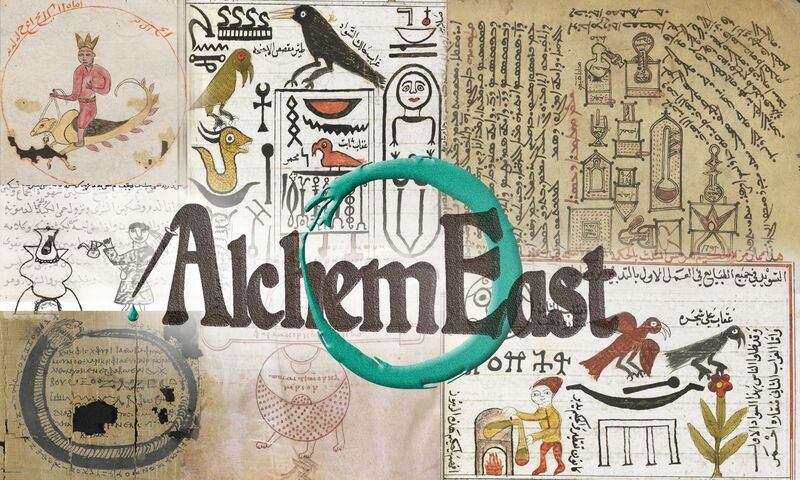 His main project in AlchemEast deals with historically informed replications of ancient alchemical recipes.